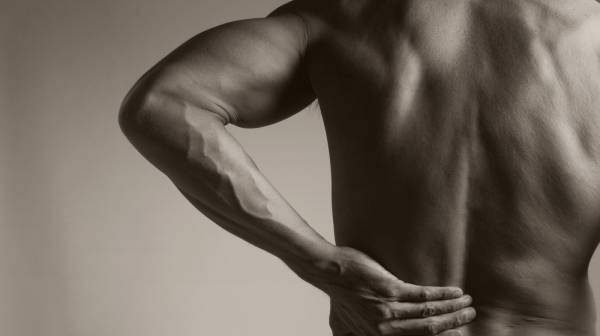 Unless you are an extremely fortunate individual, one of these days you will feel back pain, perhaps due to wear and tear, overexertion or an acute injury. Back injuries usually arise from work or sports but is almost always benign. The back includes the bones and joints of the spine, the discs that separate the vertebrae, and the muscles and ligaments that hold the spine together. Injuries that arise from overuse are usually subtle and can go away with proper rest. Symptoms usually present themselves gradually, and can include pain, stiffness or muscle twitching. Overuse injuries are usually caused by activities where there is repeated strain on the back, which causes minor damage to the bones or muscles. 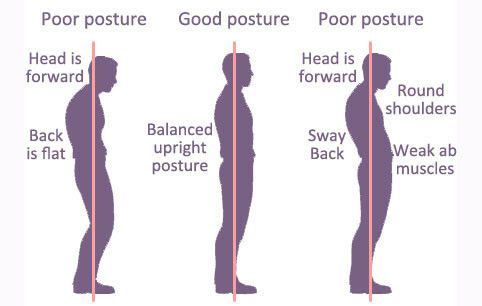 By avoiding such activities, having proper posture and getting adequate rest, symptoms usually fade within 3-4 weeks. Pain from acute injuries can be intense and extremely painful, as the pain is usually indicative of the stretching or tearing of ligaments, tendons and muscles. For such an injury, intense rehabilitation is usually needed, and activities that require the movement of the back must be stopped. Wearing a temporary brace might be necessary to stop any movement of the back, which will allow the tendons, ligaments and muscles to heal. Unless the tendons or ligaments have suffered extensive damage, surgery is usually not necessary. A more serious possibility that could have occured is a fracture or dislocation of the spine. It is vital to immobilize the patient, and get him medical attention as soon as possible as this can result in damage to the spinal cord, which can cause permanent paralysis. These injuries are usually treated in a hospital, due to the severity of the injury. Other complications include a herniated disk. A disk is a ‘cushion’ between the individual bones that are called vertebrae, which stack up to form your spine. 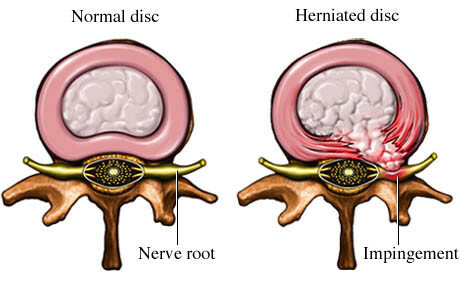 A herniated disk is when some of the soft substance that surrounds it is pushed out through a tear. The disk can begin to push or ‘pinch’ nerves, which can result in pain, weakness, or numbness. Slight loss of feeling might occur, though most patients do not need surgery to correct the herniated disk. A herniated disk might happen in the lumbar spine(lower back), or less commonly, the cervical spine(neck). Some patients might not even realise they have a herniated disk due to a lack of symptoms. A special segment is necessary for lower back pain as it is extremely common, and is the leading cause of disability in the world. 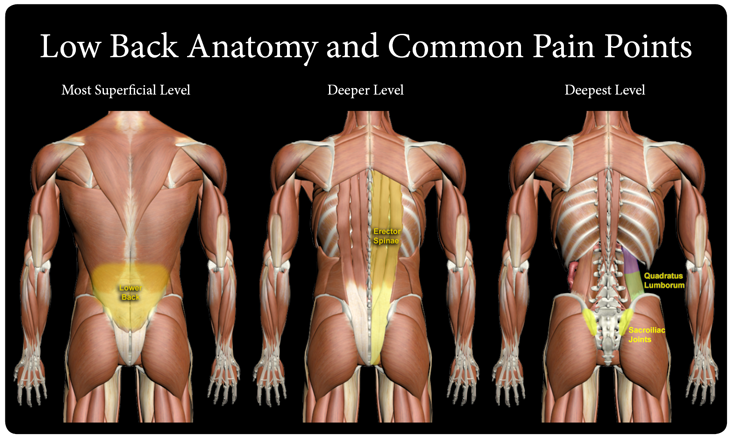 Often, lower back pain has no clear cause. Lower back pain is almost an universal human experience, with up to 80% of the developed world having had lower back pain at least once in their life. Lower back pain is usually due to the wear and tear of the muscles, tendons and ligaments in your back that is built up over the course of your everyday life. Contributing factors can include carrying an overtly heavy bag, not sitting straight, or being overweight. As I have already mentioned, lower back pain is often a mystery to physicians, as it is usually caused by something that is out of their control in a clinical setting, and seems to be due to certain subtle lifestyle choices that the patient might not even be aware about. In order to remedy this illness, the best course of action is to simply be more aware of what could possibly be straining your back, and getting more rest. Try to avoid chiropractors and TCM practitioners who claim they can fix your back – it’s nothing more than placebo and quack science. Sometimes, they might even cause more damage to you when really all you needed was to let time pass.